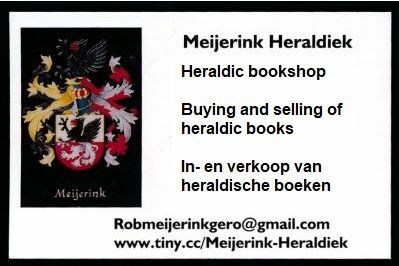 Meijerink Heraldiek is the leading heraldic bookseller in the Netherlands since 2000. 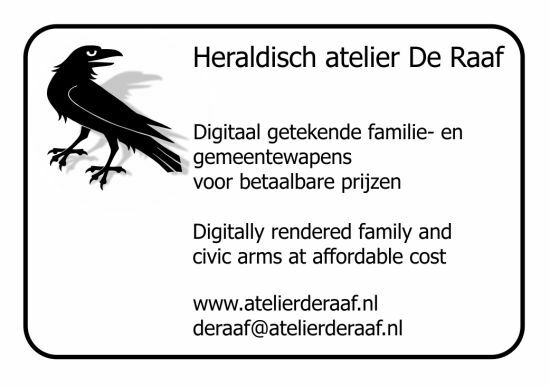 Meijerink Heraldiek offers heraldic books from all over the world in all languages. We ship worldwide. Books can be ordered by sending a mail with the ordering numbers of the wanted books, stating clearly your name and delivery address. 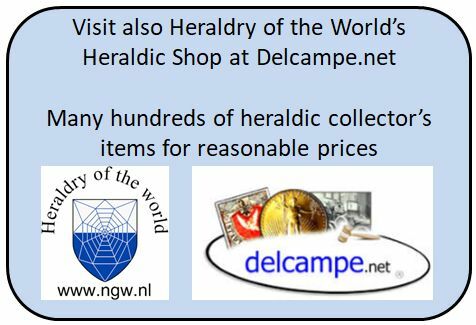 - All books are in very good condition, considering age, unless stated otherwise. The table below is sortable in every column. Click open the picture for larger image. Be aware : the picture is a general picture. The actual book(s) may look slightly different, but condition will be similar, unless otherwise stated. Vorsterman van Oyen, A.A. et al. Jaarboek van den Nederlandsche Adel. Parts 1-6 (Complete) Dutch 1888-1894 1 150,= 003 Only sold as complete set, rare !